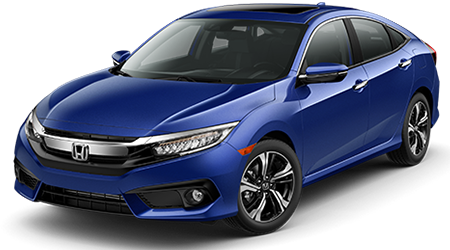 In the world of compact cars, there are several great options for shoppers who are looking for great style, reliable performance, and a fun-to-drive spirit, but one offering that continually stands out above its competition is the 2016 Honda Civic. This spirited vehicle has just been totally redesigned from the ground up for its tenth generation and you can find it here at Brandon Honda in Tampa, FL along with the rest of the superb Honda lineup. Come down to our Honda dealership in Tampa and find an all-new Honda Civic that fits your driving needs and personal style perfectly. You can’t go wrong with the Honda Civic; it’s supremely stylish – especially with its all-new look – and is now more fun to drive than ever before. 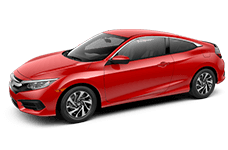 Tampa, FL and Tampa Bay-area drivers and car shoppers will love the Honda Civic, but don’t just take our word for it, come see us and take a test drive in the new Civic and find out for yourself how great this vehicle is. We promise you will want to drive home in one tonight! The 2016 Honda Civic, once again pits itself against the likes of the Toyota Corolla. In this battle, though, the Civic is geared up with all new armor and it has more than a few tricks up its fenders to defeat its long-time rival in supreme style. If you are looking for options when it comes to your next car, the 2016 Honda Civic is the car to pick. This stylish vehicle is offered in both four-door sedan and two-door coupe versions, which allow you to choose between something sleek and sporty or something spacious and comfortable. You can pick a 2016 Civic that perfectly emulates your personal style and driving tastes. The Toyota Corolla, however, hasn’t offered a coupe version for many years, it is sold exclusively as a sedan as many Corolla models before it have been. If you want the freedom of choice and the freedom to drive precisely the kind of car you want without sacrificing anything, the 2016 Honda Civic is the car you have been waiting for – and it’s a much better choice than the Toyota Corolla. Honda has always been dedicated to efficient, reliable performance and that still rings true in the 2016 Civic. This year, the Honda Civic has been rated by the EPA to return 27 city/40 highway mpg with its standard 1.8-liter engine and six-speed manual transmission; 31 city/41 highway with the standard I4 and CVT gearbox; and 31 city/42 highway with the available 1.5-liter turbocharged four-cylinder and CVT in its EX-T trim and above*. 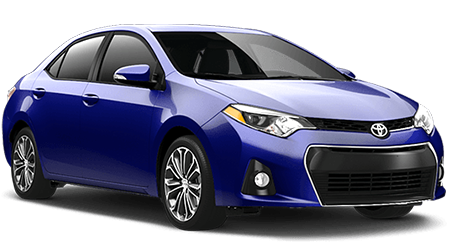 The Toyota Corolla, on the other hand can only muster 28 city/37 highway with its standard 1.8-liter engine and four-speed automatic; 30 city/40 highway with its LE Eco trim’s premium engine and CVT; and 29 city/37 highway in its S trim, which also features the premium engine and CVT gearbox. Overall, Honda’s 2016 Civic has the upper hand in this duel. 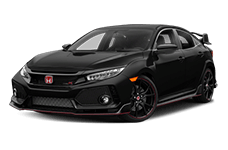 For many model years, the 2016 Honda Civic has had the same exceptional engine under its hood; this engine is a 1.8-liter four-cylinder with 158 horsepower and 138 pound-feet of torque. Now, with the advent of its all-new tenth generation, Honda has added another fantastic powertrain to give you even more thrills. In the EX-T, EX-L, and Touring trim grades, the Civic now features a standard 1.5-liter turbocharged (that’s right – TURBO!) four-cylinder engine. This all-new powertrain features a single-scroll MHI TD03 turbocharger and an internal wastegate and offers up a thrilling 174 horsepower and 162 pound-feet of scorching torque for an extra fun driving experience you won’t soon forget. The Toyota Corolla? Well it has still got its long-time engine, too, a 1.8-liter four-cylinder that can be tuned to produce either 132 or 140 horsepower and either 128 or 126 pound-feet of torque depending on the trim. Well, the numbers don’t lie and the Honda Civic’s standard engine is clearly more powerful. And with the option of the new turbo engine, why are you still even thinking about the Corolla? We aren’t sure, either. Now you have seen the numbers and they are proof enough to allow us to mark the 2016 Honda Civic the clear winner in this bout. If you still need some convincing, come down to Brandon Honda in Tampa, FL and take the new Civic for a spin. You will be glad you did!